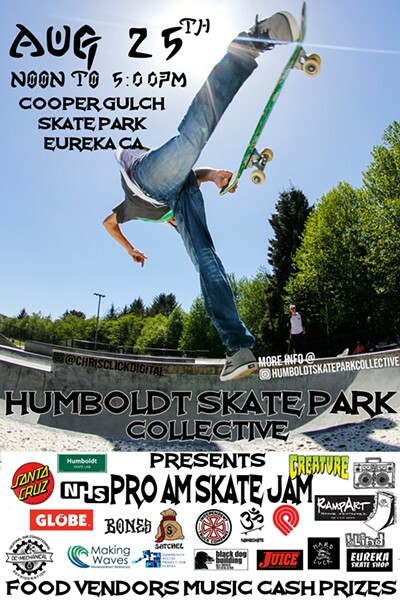 Humboldt Skate Park's skate jam features demos by some of the skate industry’s most talented professional athletes as well as an amateur contest for kids and adults. There will be a beverage garden, kids’ zone, vendor booths, food, drinks, and live music. All proceeds from the event will go to toward Humboldt Skate Park Collective efforts to continue youth programs and build community skate parks throughout Humboldt County.